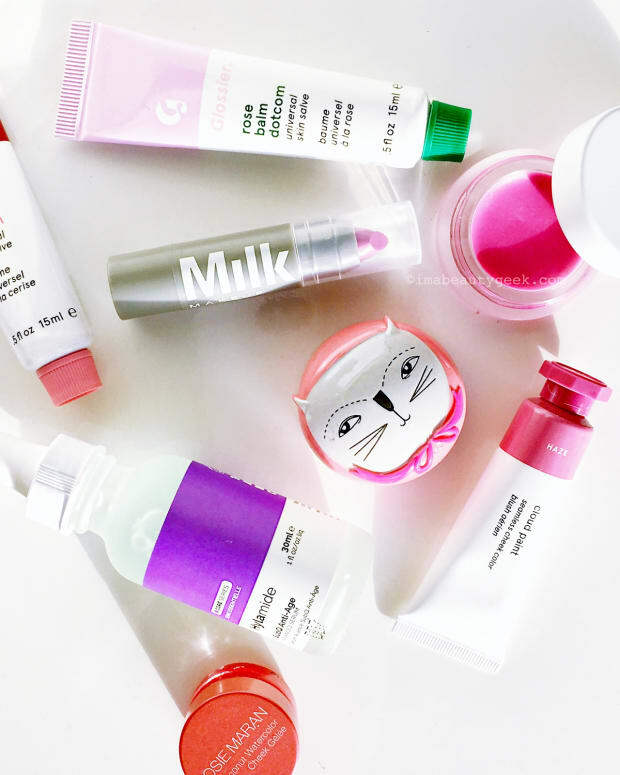 This month – that's when Canadians will finally have easier access to Glossier Cloud Paint, Boy Brow, Balm Dotcom, Haloscope, Milky Jelly Cleanser.... Oh, and it's prounounced GLOSSY, EH. what can canadians NOT buy? Aside from the brand&apos;s new Invisible Shield sunscreen, which needs vetting and a DIN from Health Canada, and digital/physical gift cards, everything on the Glossier website will be available to We the North. And by We the North, I mean everyone except Quebec for the moment, unfortunately. But fear not; word is that Quebec will be included eventually. Emily Weiss explains here. Re: gift cards, at the moment Glossier gift cards won&apos;t work for Canadians on the site; they&apos;re only in USD. 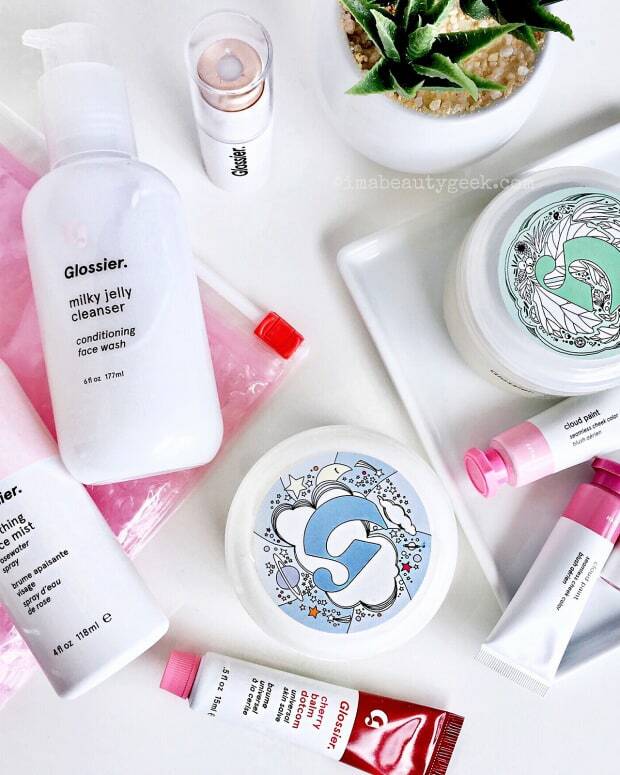 But according to Glossier, they&apos;re working on Canadian-currency gift cards, so stay tuned. what will canadian pricing be like? Aside from shipping costs, this will be the most painful adjustment for Canadians familiar with Glossier&apos;s US pricing. It always stings that thanks to our dollar strength in relation to US currency, we have to spend more. what about returns and refunds? 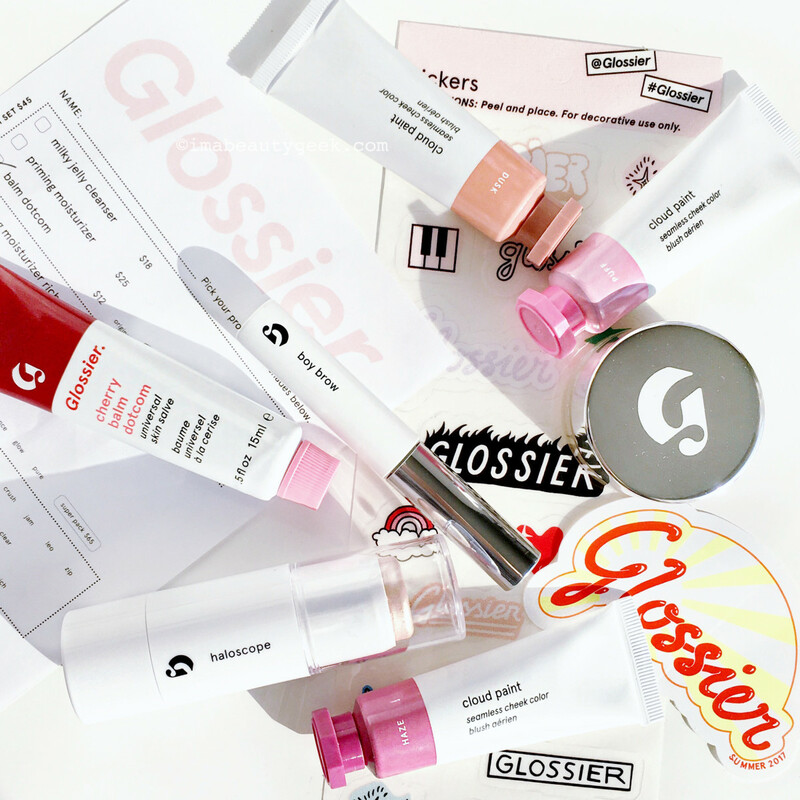 what about glossier bundle deals? 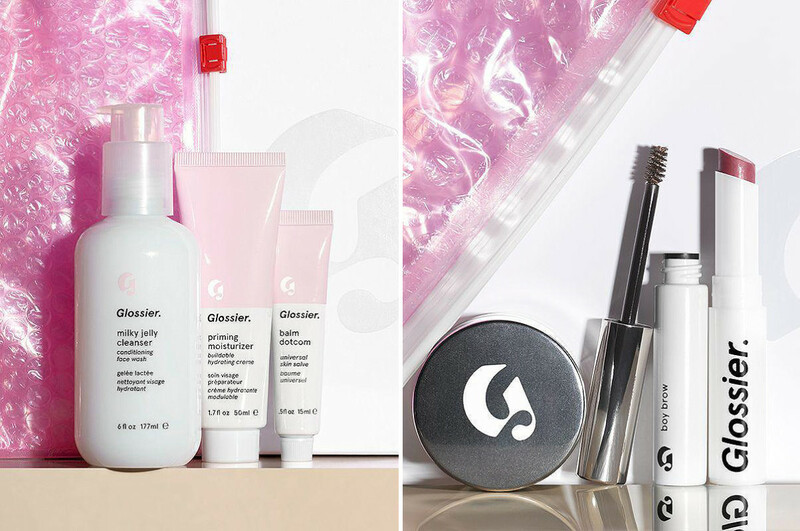 Glossier offers two "hi-here&apos;s-who-we-are" sets that save you a few bucks per item, about $10 overall, and serve as a gateway to the rest. The Skincare Phase 1 set ($55 CAD/$45 USD) focuses on skin and includes Milky Jelly Cleanser (launched a year after G&apos;s debut), Priming Moisturizer and a Balm Dotcom in your preferred shade. The Makeup Phase 2 set ($50 CAD/$40 USD) consists of a Stretch Concealer cream cover-up that promises to move with your skin rather than crack and crease, Boy Brow tinted brow gel, and a Generation G sheer matte lip colour. Other bundle deals include a Super Pack of the three Super serums ($85 CAD/65 USD), a Mask Duo ($48 CAD/$40 USD) and a Balm Dotcom Trio ($40 CAD/$30 USD). So far I&apos;ve tried just a few Glossier items that I bought in NYC. Cloud Paint ($22 CAD/$18 USD) – Love the natural-flush effect; be very careful when you squeeze the tube, though. You want only the tiniest bit, and it can erupt out of the packaging if you&apos;re aggressive. 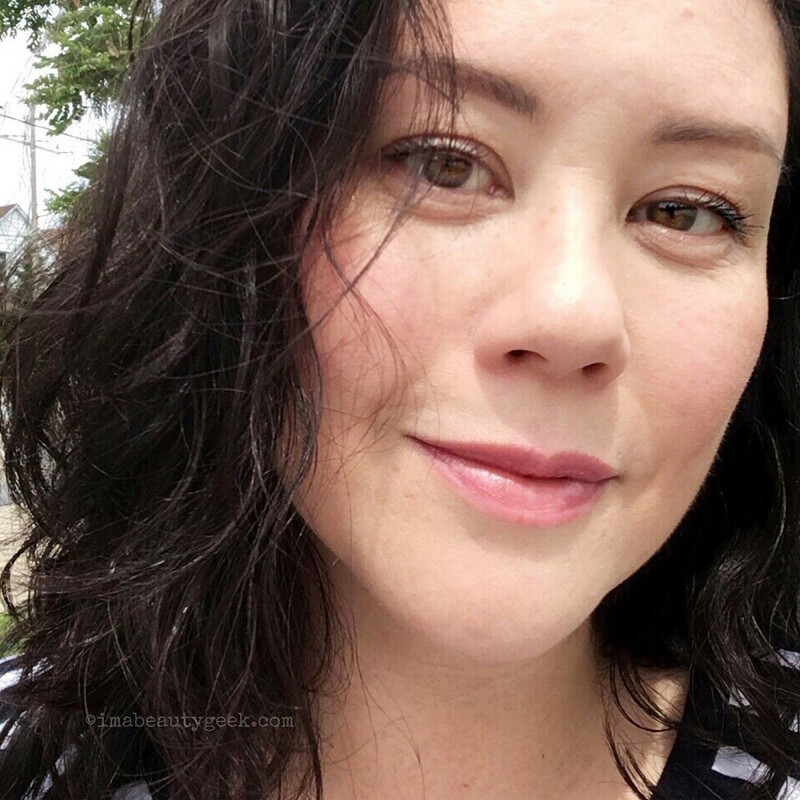 Balm Dotcom ($15 CAD/$12 USD) – Not emollient enough for my lips, but I don&apos;t mind it on cheeks as a dewy highlight; Cherry adds a pretty rosiness as per the above photo. Boy Brow in Brown ($20 CAD/$16 USD) – An ashy brown (yay!) gel, and sheer, so you won&apos;t accidentally get Instagram-brow, even if you use a lot. I&apos;ve also tried the Glossier Priming Moisturizer ($27 CAD/25 USD) – I received it as a PR sample – but just once; more wearing required before feedback. Have you already got Glossier favourites/recommendations? 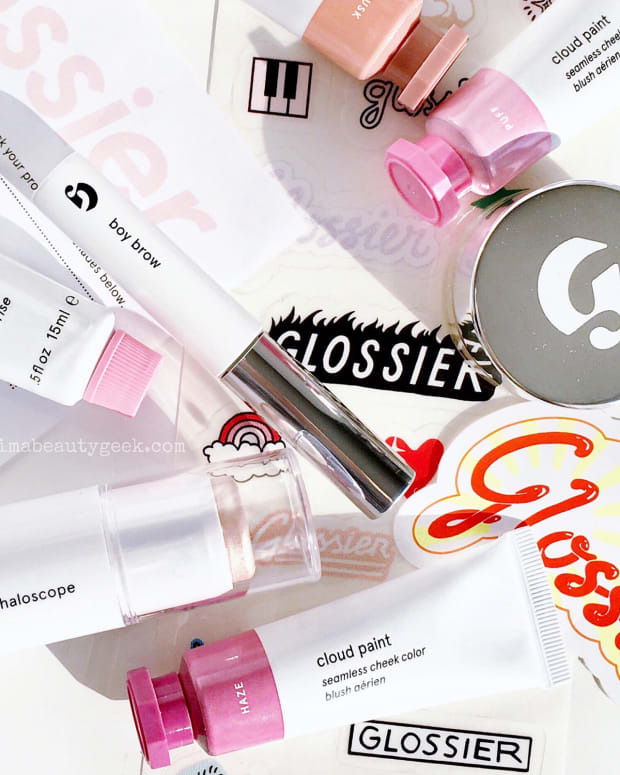 If you&apos;ve never tried anything Glossier, do you think you might now? GEEKY FORMULA SCIENCE: INTERESTING OR MIND-NUMBING?